"I have come to think of all the metal in my body as artificial stars, glistening beneath the skin, a constellation of old and new metal." 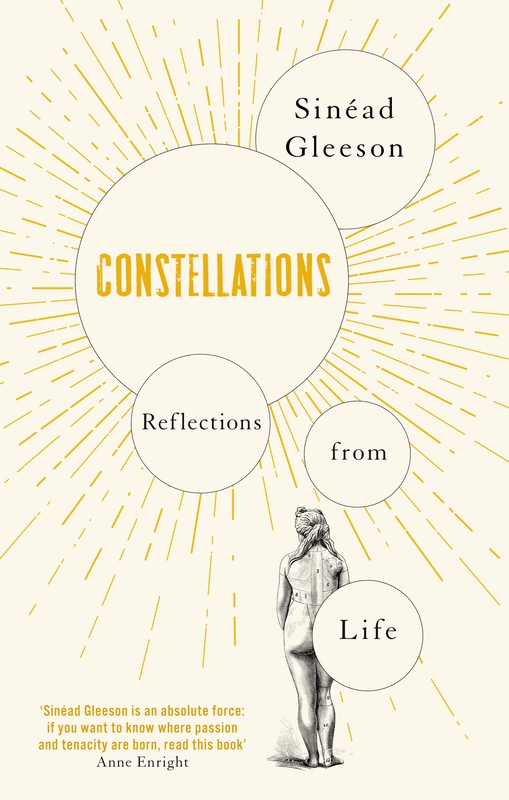 Constellations is a powerful and intimate collection of essays from the writer and broadcaster Sinéad Gleeson. Concerned with bodily experience and what it means to be female, and female in Ireland, these essays tackle the whole of life, from birth to death and everything in between. It’s a movingly personal memoir that will resonate deeply with its readers due to Gleeson’s ability to look outward and well as inward. Full of compassion and humanity, this is a fiercely feminist read. We've an extract from this stunning collection, below. During my second pregnancy, my hip finally deteriorated irreparably but a surgeon tried to explain the pain away as ‘just baby blues’. Eventually I convinced a doctor that the only solution to twenty-four-hour pain was a total hip replacement (THR). This was granted as if it was a privilege, rather than something essential. The familiar need to plead and convince, to prove myself worthy of medical intervention. My body is not a question mark, and pain is not a negotiation. I received a THR in 2010, when my children were tiny. After, I could cross my legs and cycle a bike for the first time in over twenty years. It beeps at airport security checks. I have come to think of all the metal in my body as artificial stars, glistening beneath the skin, a constellation of old and new metal. After years of medical procedures my scars are in double figures, but they too form a familiar landscape. Joints can be replaced, organs transplanted, blood transfused, but the story of our lives is still the story of one body. From ill health to heartbreak, we live inside the same skin, aware of its fragility, grappling with our mortality. Surgery leaves scars; physical markers of a lived experience encountering pain. I think of my children, hoping their lives are free from such moments. That atavism will spare them, and their bodies will fare better than mine. Sometimes I imagine myself in Lourdes, walking the hills with my ceramic and titanium joint. Looking at all that stone and religiosity, the grand grotto that frightened me, viewed through the eyes of my lapsed faith and non-belief. Although I do believe. Not in gods and grottos and relics. But in words and people and music. Our bodies propel us through life, with their own holiness. In moments of distraction, there’s a Kristin Hersh song that often floats up from the floor of my mind. I’ve rolled the words back and forth like oars; sung my children to sleep with it. And it is all right. When there is a day that is pain free, or the sun shines, or my curious children ask about the lines on my skin. I explain my good luck, grateful that things were not worse. I am an accumulation of all of those sleep- less nights and hospital days; of waiting for appointments and wishing I didn’t have to keep them; of the raw keel of boredom and self-consciousness illness is. Without those experiences, I would not be a person who picks up those shards and attempts to reshape them on the page. If I had been spared the complicated bones, I would be someone else entirely. Another self, a different map. 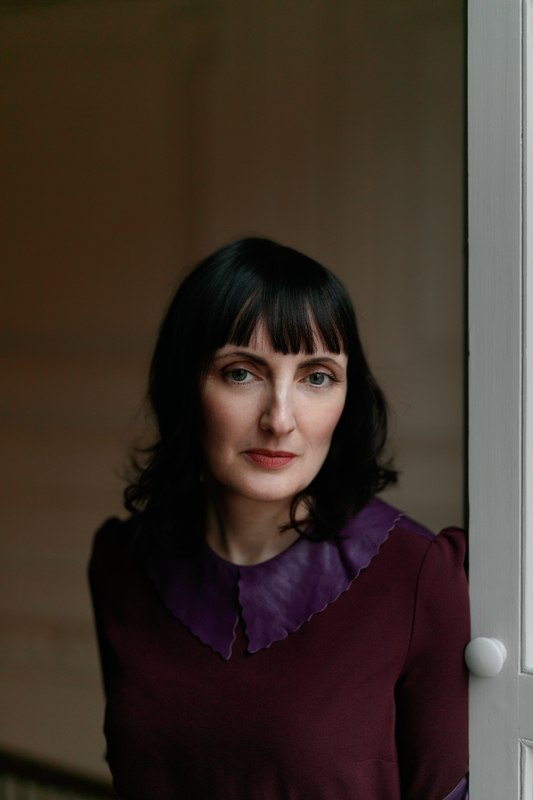 Sinéad Gleeson is a writer of essays, criticism and fiction. Her writing has appeared in Granta, Winter Papers and Gorse, and a story of hers is in the forthcoming collection, Being Various: New Irish Short Stories. She is the editor of three short story anthologies, including The Long Gaze Back: an Anthology of Irish Women Writers and The Glass Shore: Short Stories by Women Writers from the North of Ireland, both of which won Best Irish Published Book at the Irish Book Awards. Sinéad has worked as an arts critic and broadcaster and has presented The Book Show on RTÉ Radio 1. She lives in Dublin.